• Fish pieces (chanduva or vanjaram) - 500 grams. • Red chilies - 8 numbers. • Coriander seeds - 3 tablespoons. • Turmeric powder - 1/2 tablespoon. Clean the fish pieces in salt water, apply turmeric and lemon juice to these pieces and keep aside. Fry red chilies, coriander seeds, cumin seeds in a pan without oil and make a paste in a blender using little water. Apply this paste to the fish pieces. In a wide skillet, heat some oil and fry the fish pieces on both sides until brown. Garnish with salad (roundels of onions, tomatoes, slice of lemon, fried curry leaves). Delicious Fish Masala Fry is ready to serve. Masala fried fish is a south Indian recipe in which fish simmered and marinated in an awesome spicy masala and cooked to perfection. It is simple & easy to make. A fish fry is actually a food that contains battered or breaded fried fish. It generally includes french fries, coleslaw, hushpuppies, lemon slices, tartar sauce, hot sauce, malt vinegar and delicacy. Some Indigenous American types are cooked by coating fish with semolina and egg yolk. Any south Indian non-vegetarian food is imperfect with no Masala Fish Fry. It is a kind of staple dish which is prepared through th... Read More..
Any south Indian non-vegetarian food is imperfect with no Masala Fish Fry. It is a kind of staple dish which is prepared through the entire coastal area of India. Usually numerous such as the little fish range because they are fantastic and crispier in terms of fish fry. A fantastic hot and spicy fish fry might be consumed by itself being an appetizer or snacks or may be starter and also goes perfectly with rice. There are numerous methods for preparing the fish fry making use of various components and spices to fit your flavor. 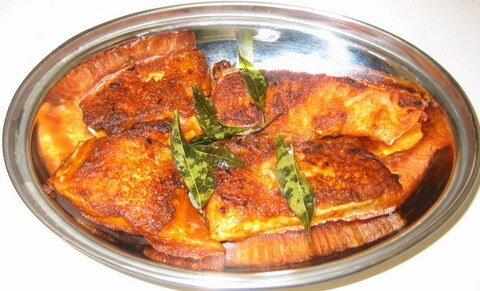 Generally, in southern India Fish fry is recognized as Meen Varuval. The fish fillets are covered with spices, marinated for couple of hours after which deep-fried whilst in north India, occasionally besan is included with other spices after which deep-fried. Fish fry purely greatest like a side dish as well as like a starter. You may also use small fish fillet and deep fry or shallow fry making it as finger foods that is a fantastic option for celebration or pot luck snack food. Skillet fried Fish fry uses little oil however features a crispy crust and flavor yummy whilst deep-fried uses plenty of oil. We in India have a lot of finger licking fish fry quality recipes out of which the traditional south Indian Fish fry is simply paradise for the taste buds. It's definitely yummy, scrumptious, spiced with tangy fish masala. You can use small selection of black sole or murrel fish which flavor fantastic. Fish fry can be made in the simplest method feasible by making use of various methods of frying. 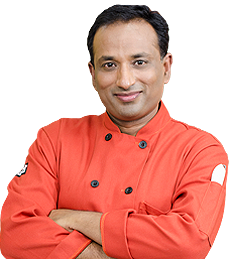 You can use readymade purchased fish fry masala or create your personal to coating your fish to fry. The fried fish would taste much better if marinated and kept for lengthy or might be prepared as soon as coated. South Indian fish fry is renowned for its type and could be completed with just little materials. Pre-preparation or marinating the Fish: In the bowl include all of the marinade component and blend properly to produce a paste. Layer the fish bits using this paste and marinate not less than one hour. The spices have lemon juice and curd that will cure the fish to some extent therefore do not cook it a long time otherwise it may overcook and become rubbery in consistency. Frying the Fish: Heat oil until it will become hot after which slide in 2-3 fish portions inside the first batch without over-crowding the pan. Fry until crunchy brown. Take out and put on the kitchen towel or paper napkin. Put some lemon wedges and offer with complement of your liking. Fish or Seafood recipes are simple and fast to prepare, full of excellent sum of proteins and low in fat. Pearl spot - karimeen fry kerala type is really a desired delicacy in Kerala. The pearl spot fish is marinated in a blend of lemon juice, red chilies, along with other ingredients and deep-fried till crisp and golden brown. This food is definitely an amazing dish of Karimeen fry cooked in Kerala style. The Karimeen fry is actually a hot and spicy fried fish covered with zesty masala. Karimeen is among the most significant species of fish in Kerala and is particularly the state fish of Kerala. Coastal Fish Fry Food: This unique shallow fried fish recipe is actually a delicacy through the entire western coast and essential to try. The mixture of spices is really distinctive as well as the approach to cooking is the greatest suited to this recipe. Aila Fish Fry consists of King fish. Within this food, by replacing the King fish using a generally eaten Mackerel and making such alteration of the conventional recipe that this traditional taste of the fish is maintained. It is a simple recipe, fast to make and delicious to enjoy. Apollo Fish Fry is an extremely well-liked club & restaurant food in Hyderabad. Spiced mixture covered fish deep-fried and tossed in the magnificent hot and spicy masala mixture. Fish Fry Small Fish is a superb food made out of little selection of Morel or Black sole marinated and filled with spices or herbs and fried perfectly. Crunchy Fish Fry with Semolina/Sooji/Rawa made out of fish covered with semolina, rice flour and spices mixed and deep-fried till completed. Fish Patties is a superb sea food snack, fragile tastes along with an ought to try dish. Fish Fingers are kid’s preferred snacks made out of fresh fish cut into the shape of fillets, marinated in fresh spices and deep-fried till crunchy. Massaged and Loaded Indian Mackerel, Mackerel fish massaged and loaded with shallots, mango and Indian spices and shallow fried. Make this type of recipe in the home rather than having it out side. Fish and Chips Seafood with British perspective, the ideal fish with tartar gravy. Fish and chips really are a take-away crispy snack that contains battered fish and deep-fried chips.